Daniel Bergmann lives in Reykjavik, Iceland, where he works as a professional nature photographer. 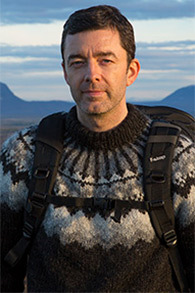 He has authored a number of books, with the latest being Iceland Landscapes (2011), which is considered one of the finest collections of landscape images from Iceland. While the landscape is his passion, birds are his obsession. Not only photographing them but also working on their behalf in conservation as a board member of BirdLife Iceland. Apart from working as a photographer, ornithologist and conservationist, Daniel has been leading photography tours in Iceland for over a decade.